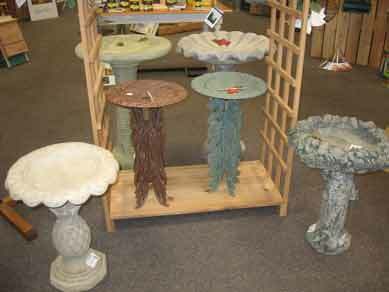 At Wild Bird & Garden, we carry a variety of bird baths and our inventory is always changing! 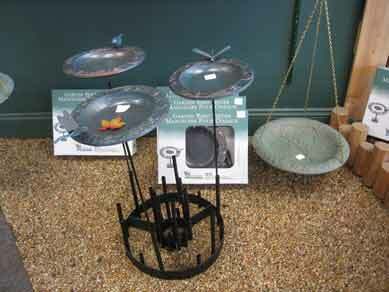 We regularly have a selection of hanging and free standing bird baths in metal, cement, and plastic. We also have bird friendly fountains to attract even more of your favorite feathered friends!